Scott Delaney grew up in Kerrville, Texas in the heart of the Texas Hill Country. He and his family (wife: Jenny, children: Bradley and Brynne) relocated to Pennsylvania in 2004 and currently live in Upper Makefield, approximately 45 minutes north of Philadelphia. 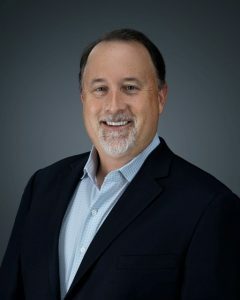 Mr. Delaney has spent over 25 years in the pharmaceutical industry and now serves as the President and CEO of Unichem USA, a division of Unichem Laboratories, based in New Jersey and Goa, India. The Shaft is his first novel. The intersection of faith with our chosen career is often hard to find. Frank S. Peretti's book This Present Darkness had a profound influence on my life and view of spiritual warfare. I wanted to create a real world view of how angels might interact with our world, using a very plausible story that involves greed and the questions of morality in pharmaceutical and biotechnology research and development. Although I storyboard my initial thoughts and directions, I typically find that it becomes a very free flowing process, often moving in different directions as the story starts to unfold in my mind and on paper. I typically make notes to myself in a daily record keeping book but use my laptop for writing. I provide myself with a bullet point summary for all of my characters for easy reference as I write. I find that this keeps me true to their personality and profile. After finishing each chapter, I read a number of times, challenging myself with whether changes need to be make of whether it fits the way I want it to fit with the rest of the story. Typically, I think as the characters and not myself. I try to put myself in their shoes in all situations. Don't get frustrated and give up. Telling your story is important. Give it a voice and you will be pleased you did. I spoke with a lot of publishing companies and liked what I heard from Archway. They have Simon and Schuster behind them and provided very good recommendations and information. So far, the choice seems to be a good one. I see it moving into a much more Amazon centered direction at present. I feel that traditional self publishers will find it hard to compete with Amazon because of the limitations of their platforms for those that don't publish with Amazon.